'Doll Fashion' (Alta Brown, R. 1970). Seedling #M 1249-5. MDB, height 7" (18 cm). Early bloom. Standards lobelia blue (HCC 41/1); falls smooth lobelia blue; slightly lighter beards. 'Dark Fairy' X 'Grace Note'. 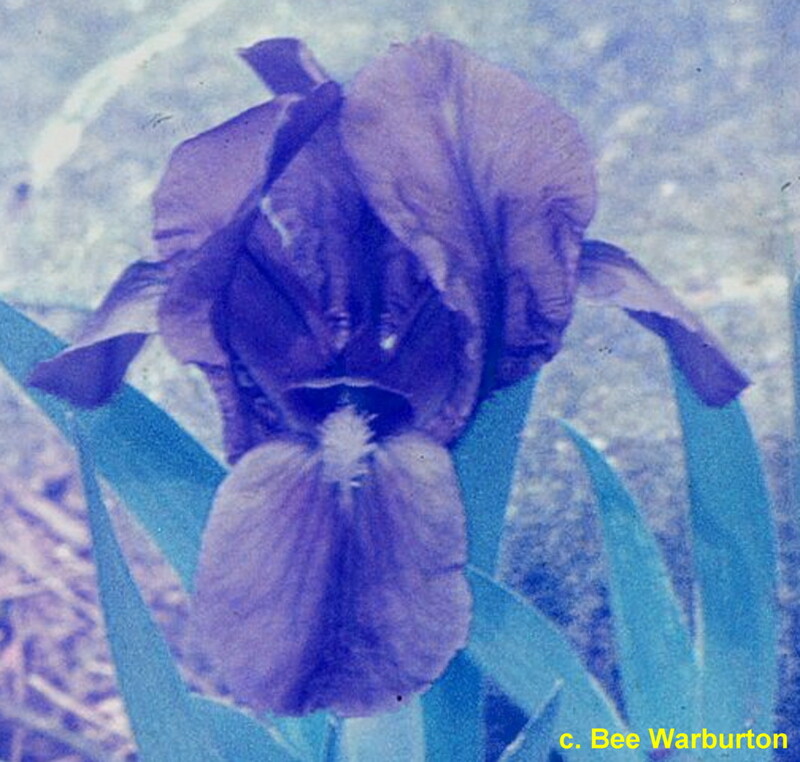 Brown's Iris Gardens 1971. Honorable Mention 1972. From AIS Bulletin #201 April 1971 Introducing DOLL FASHION. 7". E. Smooth lovelia blue self with beard slightly lighter. Good rounded flaring form and long bloom season. No. M1249-5 (Dark Fairy X Grace Note). $5.00. Brown's Iris Garden.